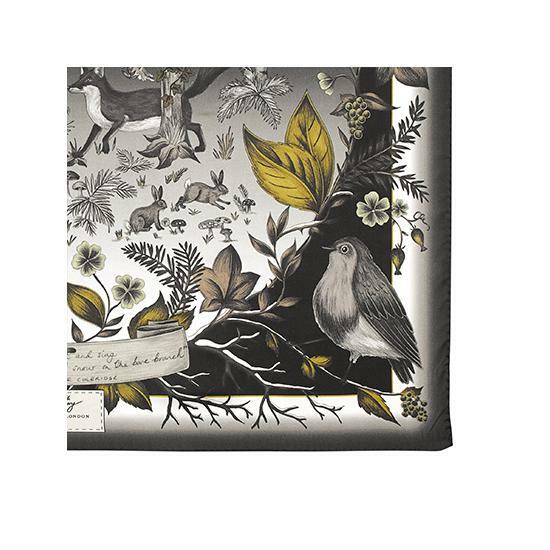 Add a distinctly contemporary look to your accessories repertoire with the delightfully whimsical Robin Cashmere Blend Scarf. 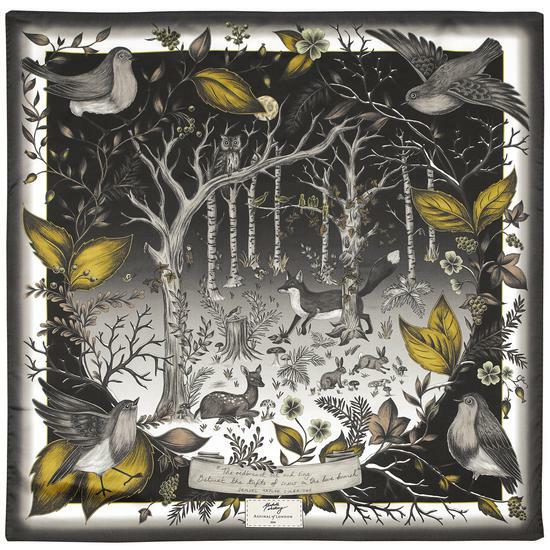 Luxuriously soft to the touch and perfect for wrapping up on cold winter days, this beautifully eye-catching ladies scarf is hand woven in Italy from a sublimely soft and lightweight cashmere blend and features robins and wildlife in a dreamy enchanted forest in tonal shades of black and gold. 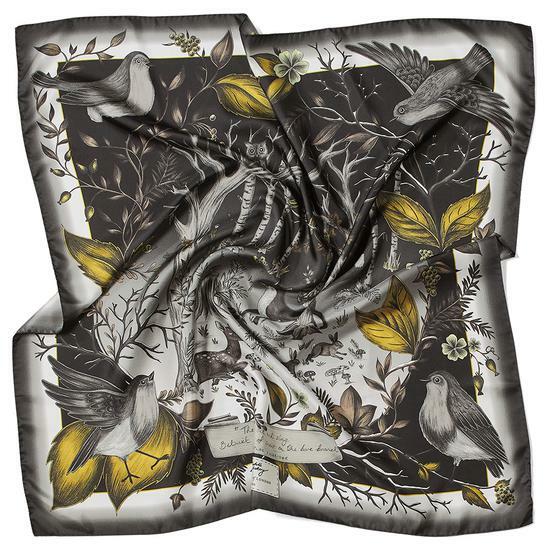 The extra large 55" x 55" proportions of our Robin Cashmere Blend Scarf make it a chic and versatile choice for layering during the cooler months whilst its feather light texture makes it ideal for warmer climates too.